As the Super Bowl draws near, companies are busy creating the super creative (and super expensive) ads that will be shown throughout the game. But two years ago, one particular ad made a lasting impression on Super Bowl audiences. For many of us in the assistive technology industry, Microsoft’s ad featuring former NFL player Steve Gleason was a pitch-perfect representation of why we do what we do. As you probably already know, Gleason has ALS, which has slowly robbed him of physical abilities, including his ability to speak. 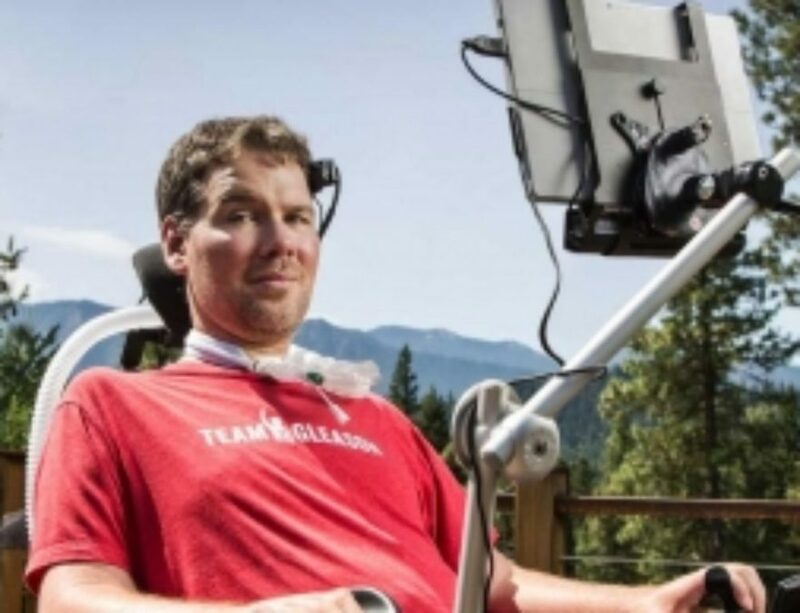 Now, Gleason uses the Microsoft Surface, equipped with eye-tracking technology, to communicate with his wife, son, and the rest of the world. Gleason has brought considerable attention to ALS in recent years through is foundation, Team Gleason. He is inspiring people to donate their time and resources to developing a cure for his disease as well as to help people lead better lives despite the limitations imposed by ALS. One way people with ALS are living better lives is through assistive technology. Eye-tracking devices, like our Eyegaze Edge, help build a bridge between people who have lost their ability to communicate and the outside world. Even when patients with ALS and other diseases that affect movement are unable to talk, they can “speak” to the world using their eye movements. By tracking users’ eye gaze, these programs can generate speech on a keyboard screen or select pre-programmed phrases for communication. You can learn more about Gleason’s work to raise awareness and funds for ALS research on his foundation’s website here.